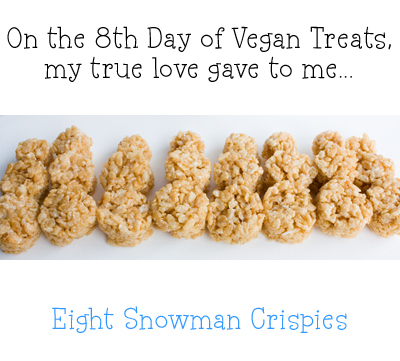 Snowman Crispies: Eighth Day of Vegan Treats. b) only had snowmen that came in a set priced at $20-$25. Both stores I went to offered me the dreaded 'set'. Now don't get me wrong, I have nothing against cookie cutters. I already have a few holiday cutters I love: a beautiful copper gingerbread man, a lovely silver snowflake and a cute copper lobster. What? You don't have a holiday lobster? *shrugs shoulders* Anyways, so I decided that many of you also may not have snowmen cookie cutters, and instead of spending $20+ on a set, lets get crafty and do-it-ourselves. Martha would be proud. Building Snowmen at Home. My tools? Flat toothpicks, a small bottle cap from bottle of water, a plastic spice jar (round), and a skinny shot glass. These tools made up my head, middle and body of my snowmen. Plus the toothpicks were perfect for stacking the parts and prying free the stamped shapes. They got stuck a few times, but a simple toothpick will pop them out. Fancy Snowmen. If you'd like, you can grab some frosting, sprinkles, dried fruit nuts (eyes, nose, hat) and other 'decorations' and apply all the bells and whistles a snowman needs. But me, I decided to let my men go au natural. Also, you may want to make larger snowmen than I did, using larger tools. I wanted to have 8 fit in a photo, so I tried to make mine mini men. But larger snowmen will be easier to assemble (especially for kids) and easier to decorate. 1. In a sauce pan, melt the buttery spread, marshmallows and pinch of salt over medium heat. When the marshmallows are liquid, yet still a bit clumpy, turn off the heat. 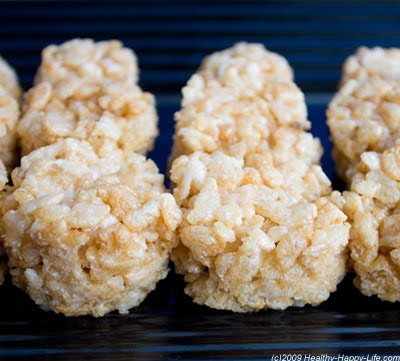 Note: I have reduced the rice amount in my normal 'crispies' recipe by 1/2 cup. You want to make sure your marshmallow ratio to crispies is high enough, so that you have a firm-chewy-sticky crispy. 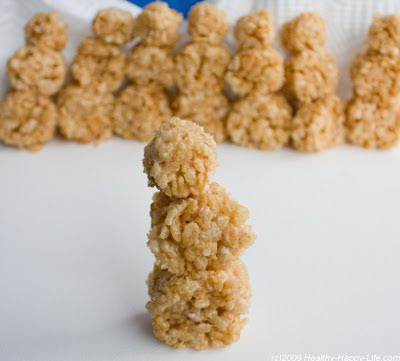 Too much rice and the crispies will fall apart during the assembly process. 2. 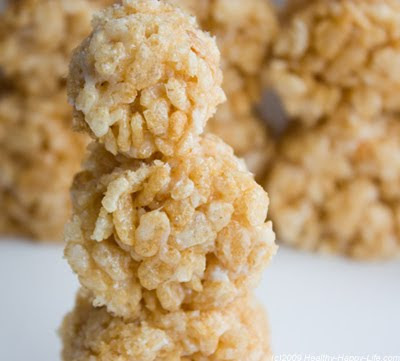 Pour in your rice crispies and start folding and stirring until the crispies are completely coated. 3. Line a bordered baking sheet or long casserole dish with wax paper (or use spray oil) and start pouring the crispy mixture into the container. 4. Smooth out the crispies until you get a nice flat surface. 1/2"-1" is good. 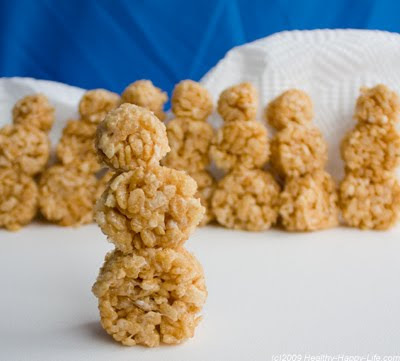 Thinner crispies will make more snowmen, but they won't be able to stand up on their own. Thicker snowmen will. Well, some of them. A few of mine had the wobbles. 5. 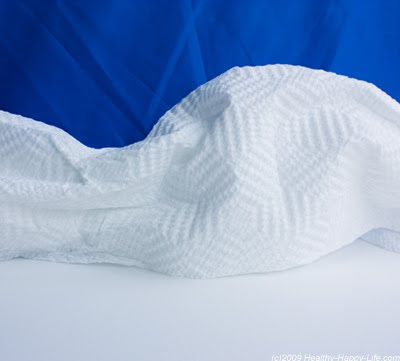 Cover crispy sheet with plastic wrap and place in the fridge to harden. Overnight or at least 2-3 hours. 6. This will give you time to choose your tools. You can either use a traditional snowman cookie cutter, or get 'crafty' and choose three different sized circle cutters. Good options include: round cookie cutters, cups, bottle caps (deep not shallow), spice jars, empty medicine bottles (well-rinsed! ), condiment bottles, mini funnels, pastry tube tips and such. Look around the kitchen, and see what you can find. If you can find shapes with a hollow top and bottom, you will have a much easier time popping the shapes out of the mold. You will also need a nice pile of flat or pointed toothpicks. 7. 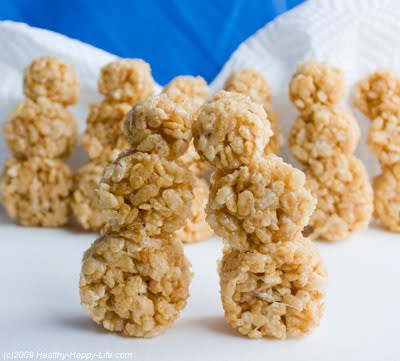 Remove your crispies from the fridge and start popping out shapes. 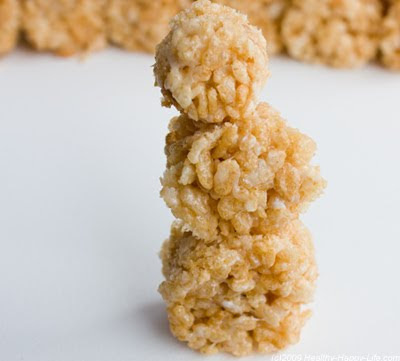 The colder the crispies, the easier your shape-making will be. 8. Start assembling the snowmen. I needed two toothpicks per snowman. Decorate as desired. 9. Stick the completed snowmen back in the fridge for and hour to fully harden. Serve and enjoy Caution: Be sure to remove the toothpicks carefully before eating. 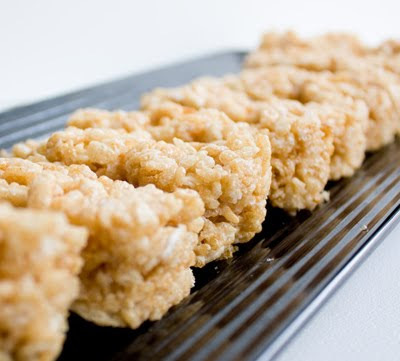 Be sure to tell people you have placed toothpicks in the crispies (if you serve them toothpicks-in). 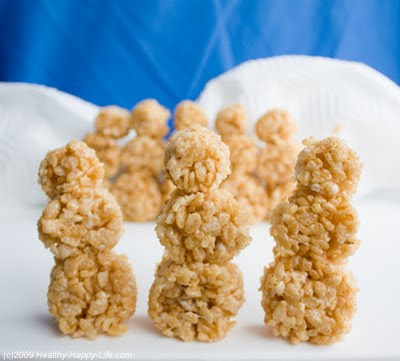 Have fun building (and eating) your snowmen. You certainly can't bite the head off a snow-made snowman! Storing Your Snowmen: These snowmen melt! 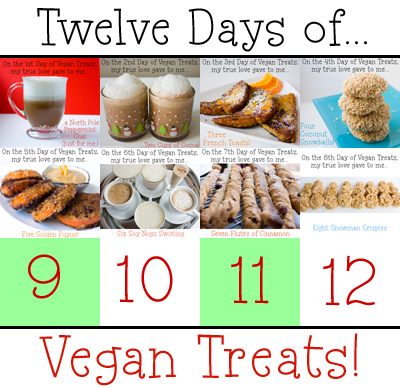 Store them in the fridge until ready to be eaten.